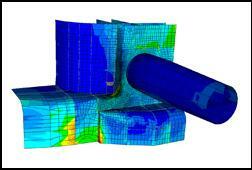 Typical analysis is global– or local model for structural assesment. We have knowledge in state of the art softwares for offshore industry such as ABAQUS, SESAM, PATRAN, GENIE, ANSA, STAAD, WADAM among others. J2 Offshore Development is a consulting company with focus on the offshore industry. The company started in late 2008 with the main task to provide the offshore industry with FE calculation specialists. J2 Offshore Develoment is located in Gothenburg with the possibility to perform in-house projects as well as work on location with our clients. We have knowledge in linear– as well as non-linear static/dynamic analyses for offshore structures. 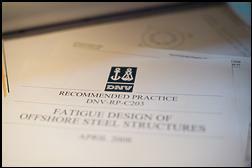 J2 resources are used to work with design codes as Norsok, DNV and ABS. 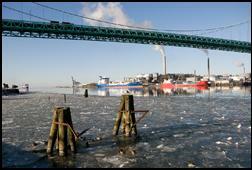 Consultants have worked for clients as Aker Solution AS, Grenland Group AS, Bassoe Technology and GVA Consultants.